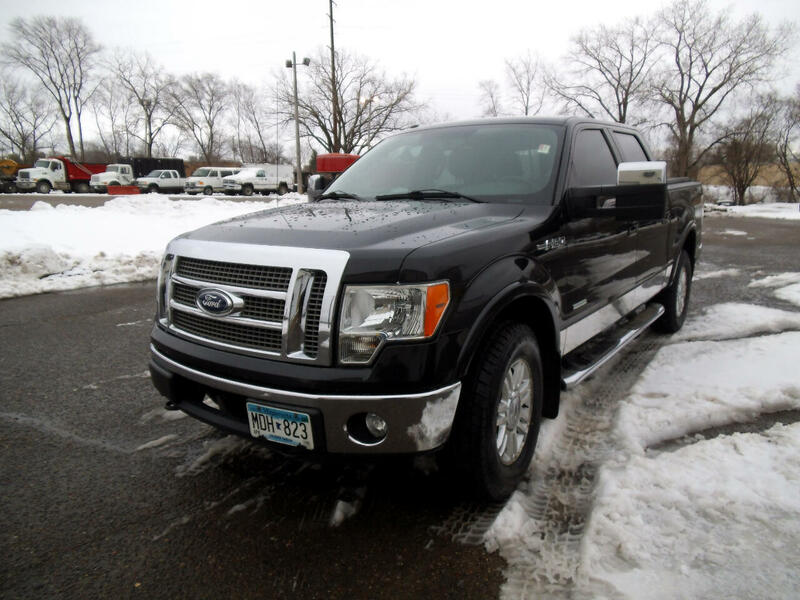 Used 2011 Ford F-150 4WD SuperCrew 145" Lariat for Sale in White Bear Lake MN 55110 CarFit! THIS IS ONE NICE TRUCK FOR THE MONEY..... ONE OWNER. IF YOU HAVEN'T DRIVEN THE 3.5L ECO BOOST YOU ARE MISSING OUT. The 3.5-liter EcoBoost truck engine delivers 420 lb.-ft. of torque and 365 horsepower to enable best-in-class towing of 11,300 pounds – more than enough to tow a fully loaded three-horse trailer or 30-foot boat, for example. Plus the EcoBoost truck engine does it all on regular fuel and with outstanding fuel economy. IF YOU WANT TO SCHEDULE A TEST DRIVE PLEASE CALL RICH AT 763-274-9654 . WE TAKE TRADES AND HAVE FINANCING AVAILABLE. FREE CARFAX ON EVERY VEHICLE.